In a briefing this week, Elections Canada discussed changes that will make the 2015 federal election different for political candidates and voters alike. Here are nine things to watch for in the 2015 election campaign. In a briefing this week, Elections Canada discussed changes that will make the 2015 federal election different for political candidates and voters alike. The biggest one is the major changes to riding boundaries and the addition of 30 seats to the House of Commons. But there's also the possibility the campaigning period will run longer than usual and increased limits on individual contributions to parties. Since the late 1990s, campaigns have been about 37 days, except for the protracted 2005-06 campaign that broke over Christmas. So, for a 37-day campaign leading up to an Oct. 19 election date, Parliament would be dissolved on Sept. 13. However, the writs can be dropped at any time before that, meaning Canadians could see a longer campaign period than usual. For every additional day of campaigning the spending limit for parties is increased by 1/37 of the total campaign budget limit. Based on numbers from the last federal election, parties fielding candidates in every riding could spend up to an additional $800,000 for every extra day of campaigning. Parties who overspend will be financially penalized by having their reimbursements reduced. Individual voters can now donate up to $1,500 to their favoured candidate — up from the 2011 federal election limit of $1,200. Under the Fair Elections Act introduced last year, voters are now required to prove their identity and their address with photo ID — one piece if it's government-issued, such as a drivers' license or provincial ID card, two pieces if not. And Elections Canada's voter identification cards are no longer considered proof of address. Voters unable to prove their current address can have someone with proper ID who is registered at the same polling station to sign an oath attesting to their address. A complete list of accepted forms of ID can be found on the Elections Canada website. Thirty new ridings have been introduced for the 2015 federal election, bringing the total number up to 338. Ontario will get an additional 15, B.C. and Alberta each have six more, and Quebec will add three. Additionally, 87 per cent of ridings will have their boundaries changed compared to the demarcations used in 2011 federal election. The redrawn maps can be found on the Elections Canada website and on our interactive map page. Scrutineers and party volunteers will be allowed to use tablets and smartphones at polling stations, however will not be allowed to use the devices to take photos or make video recordings. There will be four days of advance polls on the Friday, Saturday, Sunday and Monday prior to the election. This means that if election day is Oct. 19, advance polling could overlap with Thanksgiving weekend. Two weeks before election day, Elections Canada plans to host special voting events at up to 100 post-secondary institutions, YMCA locations and aboriginal friendship centres across Canada, as part of a push to get more youth, aboriginals and seniors out to vote. 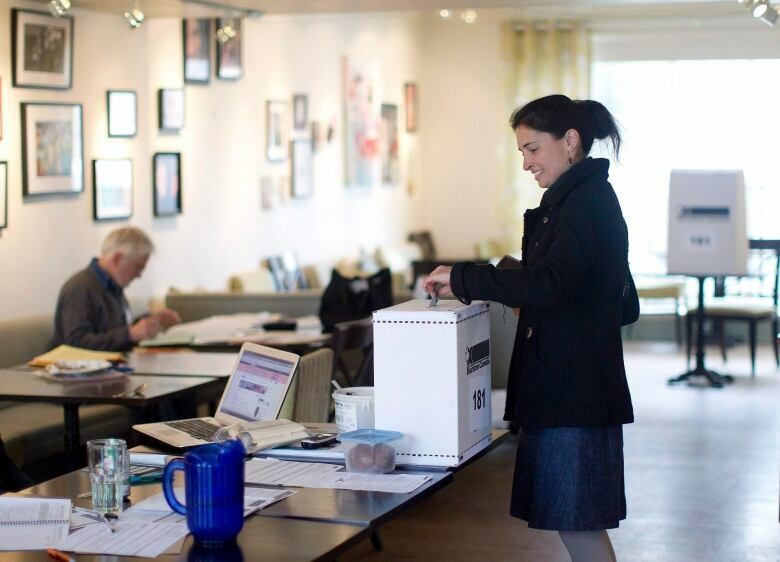 A new Elections Canada initiative will allow for online voter registration to speed up the process at local polling stations and improve the quality of the voters' list in advance. But don't expect to cast your ballot from your laptop just yet. Elections Canada still has concerns about online vote verification, as well as the possibility of hacking or manipulation of an online voting system. The agency also fears voters might be coerced to vote online against their will. "Until the security and secrecy issues are resolved, it's not something we're going to be pursuing," Elections Canada spokesman John Enright told CBC News Network's Power & Politics.